Have you ever noticed how when we lose a loved one, over time we measure events and time by before and after. My son graduated from college before Dad died. My daughter graduated from college after Dad died. I often think how my life has changed, what is different now, after Dad died. Before Dad died, I talked to my Mom a lot, after Dad died I talked to my Mom even more. She needed me more. She always needed me, even before Dad died. It took his death to make me realize that. Before and After, our measure of events and time. When my sister was brutally murdered just over a year ago, the before and after took on a new role. Before my sister died, family was important to me. After she died, family is so very much more important. Before my sister died, I lived 800 miles away from all of my family. After she died, I made the decision to move back to my home state to be closer to all of my family. Before my sister died, I thought I was taking measure to keep myself safe. After my sister died, I learned to take even more measures to keep myself safe. Before my sister died, I never thought about bad things happening to good people. After she died, I learned bad things do and will continue to happen to good people. Before my sister died, I thought we had time to do all we had planned to do. After she died, I learned life can literally change in an instant. The before and after with my sister’s death has been so much more pronounced than with any other loss I’ve experienced. I don’t measure when events happened by her death as much as I did when Dad died. Instead, I measure what I’ve learned about death and homicide. 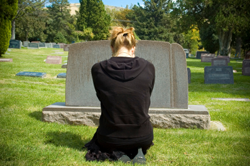 Before her death, I thought I had experienced most of the ups and downs of life. After her death, I learned there were many experiences of life that I would rather not be forced to learn. Before my sister died, I didn’t give a lot of thought to all we had shared together. After her death, I cherish those memories, I protect them, I hold on to them so tightly, knowing nothing can take those memories from me. Like many other people, my life has become a before Sandy died and after Sandy died. Would I like to return to the before? Of course, who wouldn’t? However we know we can’t go back, only forward. So try as I might, I continue into the after, one day at a time, sometimes, one step at a time. My life has been forever changed, not before, but after.